Hey all! 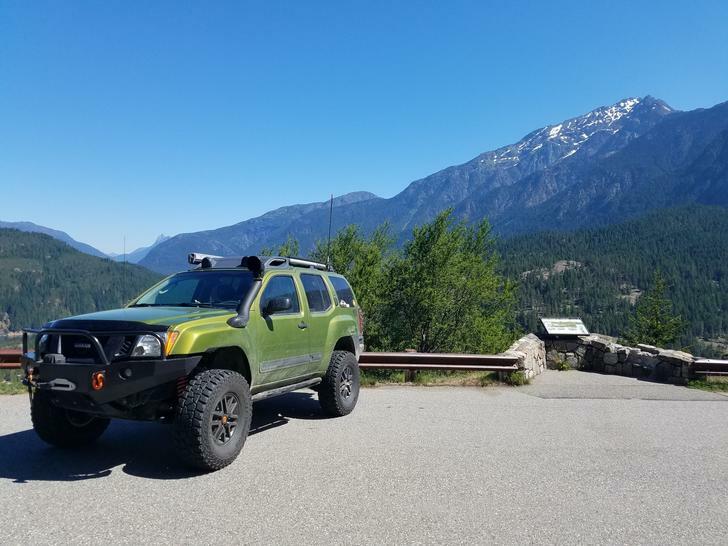 Flew to Seattle today to pick up my new to me 2011 Pro-4X in Metallic Green and drove it back to Oregon. So in love with this truck! I had a '93 Pathfinder for quite awhile, and a 2003 Xterra for the last 4 years. I really enjoyed my 1st gen Xterra, but it just lacked the power I needed to tow my trailer. Can't wait to see what the new one can do. This is an awesome community you all have created here! I have been diving in to all of the information hosted, and the How-To's are great! Can't wait to get modding! bluez, TerryD, Adam12SD and 2 others like this. Welcome! Post up some pics! We love to see everyone's Xs! Welcome to TNX Site - Issued Membership Upgrade. Welcome! That is objectively the best color, year, and trim. Also got my 2011 Metallic Green PRO-4x here in Bellevue almost 3 years ago. Suspicious... the one you picked up didn't happen to look like this did it? Haha that's funny cus I happened on mine by chance. Looked at a white one that used to be a fleet vehicle and it was complete crap. The only PRO-4x near me was this green X that was traded in a few days earlier. At first I was kinda put off by it, then I get on here and realized everyone covets the green Prepare to open up your wallet! AlbatrossCafe and nwcoffeeguy like this.